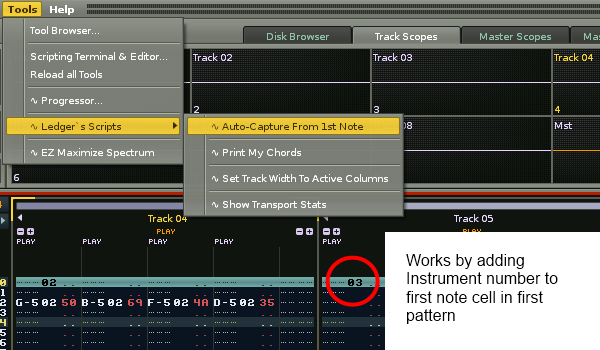 This tool gives an alternative feature to renoise`s "Auto Capture Instrument From Pattern". -Instead of capturing the closest note, it will always capture the very first note in the track, even if there are no notes in the current pattern. -To improve the speed of capture the instrument number is recorded in the first line of the first pattern automatically (if not already present). This check/ operation is performed each time you change tracks in renoise.